A sunroom can be a wonderful upgrade for your home in the Pensacola, Florida, area. The installation of one of these enclosures will maximize your home’s living space, giving you and your family a beautiful area to enjoy the outdoors, where you won’t have to worry about bugs, UV rays, or inclement weather disrupting your time. And, when you need an experienced sunroom installer in the Gulf Coast region, Majors Home Improvement would love to be of service. Plus, when you turn to Majors Home Improvement for a sunroom installation in Pensacola, you will not only receive a long-lasting product, but also incredible service. Our installers are highly trained and adhere to strict customer service guidelines. This means that you can count on a precise and efficient installation, and that our installers will treat you and your home with respect. You’ll also receive a warranty to protect your investment for years to come. 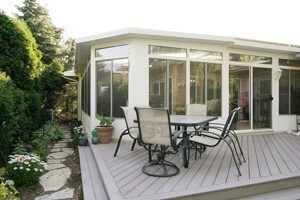 Contact Majors Home Improvement today to learn more about our sunroom products. We are proud to serve homeowners in Pensacola and all surrounding FL communities.